$20 Intro Session Deal is coming to an end! 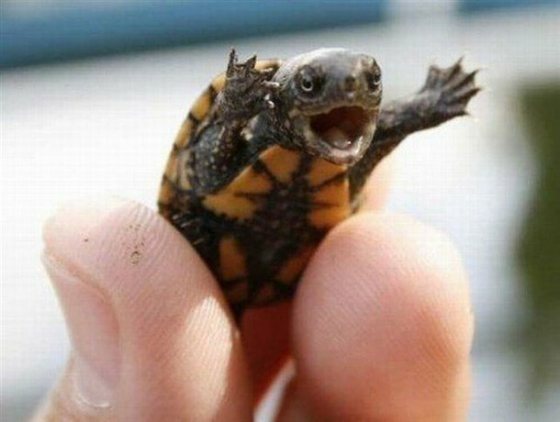 This tiny turtle wants you to act now! Everyone, if you’re in my area and want to try Rubenfeld Synergy Method, you have only a few days left to receive your first session for only $20. I’ve been running this deal for some time, but it’s getting to be time to retire it. Contact me before February 1, however, and I’ll set you up a session for just twenty smackeroos. I do want to share this work with as many people as I can, so please – go ahead and sign up! In part one of this description of a typical Rubenfeld Synergy session, I covered the welcome at the start of the session, the talking in chairs, and moving the client to the table. In this second half, I will discuss the portion of the session that takes place on the table. Again, we are talking about a first session, and while every session and every client will differ, we are focusing on the physical moves and verbal interventions a Synergist will use most often, especially in a first session where not much is known about the style and needs of a particular client. For this portion, I will progress through the Classic Sequence, which is a series of moves designed to make contact with the whole person over the course of the session. 1. First contact at the head. In a typical first session, the first place the Synergist will make contact is at the client’s head. Using “butterfly touch,” the Synergist places the tips of her fingers at the base of the client’s skull, called the occipital ridge. This is a place on the body where many nerve endings come together; it is also where the top of the spine makes contact with the brainstem. For this reason, it is a sensitive place, and contact here tends to “wake up” the nervous system. 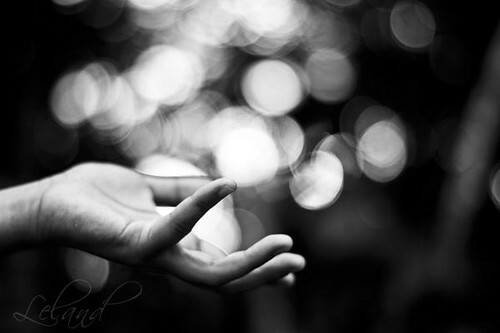 This contact is intended as a “saying hello,” and the Synergist may or may not ask questions or make statements here, depending on the response of the client to the touch. A typical first question is something like, “As I’m making contact with you here at your head, what are you aware of?” The client’s answer to this will begin to give the Synergist an idea of how this client relates to his body: is she aware of how something physically feels? Or of a movement of energy? Does she notice an emotion rising? Or is she confused or disoriented by the question itself? All of these responses (and more) are information the Synergist can use to move forward with this client. The Synergist may also attempt a head roll here before moving on; this gives her an idea of how much movement, flexibility, tightness, etc. there is in the client’s neck to start with. All of these things may also have other layers of meaning: tension may indicate apprehension, fear, anger, reluctance; softness may indicate relaxation or a feeling of safety, or any number of other things. But this first contact is really intended just as a hello, and moving on from here, once an initial impression has been made, is important. 2. First touch at the feet. The next place we make contact in the classic sequence is the feet. Again using that gentle, light touch, we place our hands on the tops of the client’s feet, in essence completing the circuit we began at the head and helping the client to make the connection between the two ends of his body. Here, again, the Synergist may ask what the client notices or is aware of, or may check in with something the client has already brought up – “tension in my throat,” “tightness in my chest,” “ache in the lower back,” “sadness in my belly,” or whatever may have already arisen. The idea is to follow a thread, but always with an eye to what the client is experiencing now, in this moment. This allows both for the client to observe how subtle, incremental changes happen in his own system, and for a theme to begin to develop for the session. This is also a time for the Synergist to do the “windshield wiper” move, encouraging rotation of the legs at the hip using gentle pressure on the outsides of the client’s heels. How much movement there is, or is not, is a signal to the Synergist for which side to work on first. 3. The metatarsal move. Whichever side of the client’s body seemed more available to movement is the side where the Synergist begins the deeper moves. The first of these is at the metatarsal, the toe bones of the foot. The Synergist lightly presses near the ball of the client’s foot, spreading the toes and inviting movement in the ankle. This helps the Synergist get more information about the client’s available movement, the quality and character of her feet, and potentially begins to open metaphors for how the client makes contact with the ground and with safety: is this someone who stands firm in her truth? Someone who is always running away, racing ahead, or lagging behind? Can the client feel her feet at all, or is she always in her head? All of these ideas and more can be explored with this move, depending on how the client experiences it and what she is ready to reveal. 4. The hip sandwich. From time to time the Synergist may do a move between the foot and the hip at the knee, if it seems to be needed. In the classic sequence, though, the next move is at the hip. The Synergist slides her hand under one of the client’s hips, cradling that side of the pelvis, with her fingertips at the edge of the sacrum. (This is an intimate move, and one I always ask permission before doing. In fact, with some clients, I obtain fresh consent before every instance of contact; I plan to address the issue of touch and consent in a different post.) The other hand is placed on top of the hip, both hands facing the same direction toward the client’s opposite shoulder. Often, the hips have a lot of information to convey. Their positioning is related to the position of the pelvis and lower back, so any physical tensions there can be highlighted or relieved. Sexual trauma often locates here as well, so memories may be triggered. Sometimes the hips have information about where the client feels stuck, or which way he wants to go: the hips are where we find our turning radius, telling us when we want to turn toward or away from something. To extend the linguistic metaphor, our hips can also help us turn up, turn someone down, get turned on or turned off. Some people become turned inward, and then they don’t know where to turn. The point is, there can be a lot going on in the hips. Whatever it is that comes up here, the Synergist hopes to effect a release and free up movement in the hip joint. This doesn’t always happen, but can be profound when it does: the Synergist places his top hand under the knee, then sweeps down the leg all the way through the foot, listening all the way down. Afterward, he’ll do the windshield wiper move again, and most of the time the client will experience a difference in the way the worked-on leg is now moving in contrast to the leg the Synergist has not yet addressed. After this, the Synergist will move to the other foot and hip. Very different experiences may occur on each side, but the goal is for both legs to feel looser, longer, and more free to move. 5. The shoulder cradle. Once both hips have been released, the Synergist moves to the shoulder on the same side as the first leg. Moving the client’s hand to a convenient position, the Synergist puts his hands beneath the client’s back and supports his shoulder blade. The shoulders are a place where many people hold tension, and the shoulders and rib cage also serve as protection for the heart. For this reason, emotional material often arises during shoulder work. In a first session, a Synergist will often welcome emotional release, but will probably not go too deeply into it with the client, as a relationship of trust is still being established. Going too deep too soon can cause embarrassment or even shame, and the client’s sense of safety is paramount. However, sometimes there may be tears or anger or any number of emotions moving through a client, and it is the Synergist’s job to welcome, allow, facilitate and contain the client’s emotional experience. Even if there is not emotion here, the shoulders can be a complex and delicate place, and most people will at least feel some letting go and relief of tension from the contact. At the close of this move, the Synergist moves down the client’s arm with the intention of widening, then, taking the client’s hand and bending the arm, gently dangles and waves the arm to the extent the client’s body allows. This clues the client in to how loose or tight his shoulder still is, how much weight he is allowing the Synergist to take, and what the quality is of the tension remaining. The Synergist will often ask here about the difference between the two shoulders/arms before moving over and doing the move on the other side. 6. The head, revisited. To close the classic sequence, the Synergist returns to the head. She may attempt a headroll again, to mark the difference in the movement of the neck before and after working on the rest of the body. I often will do a head cradle here, coming under the head and holding it in both hands, to give an extra sense of compassion, safety and relief to the client at the end of a session; I especially tend to do this if the session has been intense. This is a good time for the Synergist to, well, synergize the session with the client: to give the client a sense of summation and what she most wants to take home with her from this particular session. She may also ask how the client’s sense of her body / herself is different now than it was when she first lay down on the table. Just as a Synergy session begins as soon as the client arrives, it does not end until the client leaves. The Synergist should encourage and facilitate a slow and mindful transition off of the table. Some clients will get up and jump off the table as quickly as they can no matter what you tell them. But the ideal is to let the client roll to one side, observe the experience of being on their side, move to sitting and stay sitting for a minute or so, monitoring for light-headedness and also calibrating what it’s like to be vertical when they’ve been horizontal for forty minutes or so, and gradually move to standing, with a special emphasis on how the client’s feet are making contact with the ground now. Keeping the client’s attention on the process through a brief walk around the office before scrambling to get out the door again is key to internalizing the messages and lessons of the session. Once the client has a good sense of it, a simple closing should happen. As with any other therapy or bodywork session, now is the time for gathering up items, arranging payment, and possibly scheduling a followup session. I hope that this is useful to anyone who is wondering what an RSM session is like and whether it is for them; once again I cannot say exactly what your session will be like, but hopefully this writeup gives you a sense of what to expect at least from a mechanical perspective. As far as the happenings of particular sessions, I hope to revisit this topic soon and provide some write-ups of sample sessions, to give a wider perspective on the kinds of things that can happen. Until then, I’d be happy to work with you: please feel free to contact me if you’re interested.